Sitting in a leather armchair in the St. Regis hotel, Raghav Narayan had just come back from a visit to a factory in a far-off Malaysian town. He had heaved a sigh when he arrived, explaining that these days his entire life was a whirlwind. This week was the rule, far from the exception. Hailing from India, Raghav has had anything but the standard career trajectory. He has trained and worked as a lawyer, as well as starting his own businesses and even doing a stint at Google. Earning his MBA at ASB was a way to realign his career path with his growing interest in the financial sector. “I was very clear that this was what I wanted to do,” he says between sips of his drink, reflecting back on the experience. 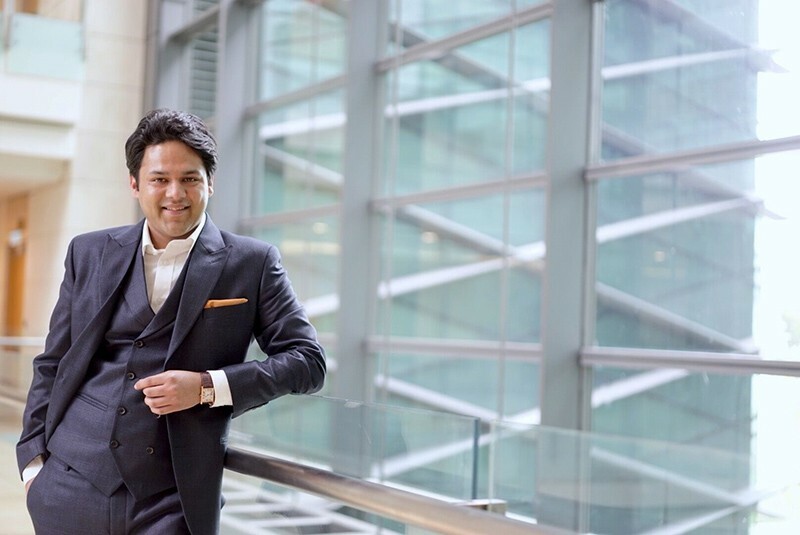 Southeast Asia turned out to be the perfect place for Raghav to make this career switch, as he was hired straight from ASB into the Kuala Lumpur office of a Dutch private equity firm. He reasons that finding a job in the industry here was easier than it would have been in other regions. During the course of our catch-up, another of his colleagues walked in and introduced himself. As it turns out, this was a common after-work destination for the whole company, located within walking distance the office. To him, his close relationship with his colleagues is a by-product of the intensity of the industry. More than just a job, he considers finance a “lifestyle,” and warns to anyone considering investment banking or private equity that they should expect and enjoy this intensity. Those who hope for standard 40-hour workweeks should look elsewhere. Raghav spends much of that time in the office doing two things: learning and meeting people. The former entails acquiring an unfathomable amount of knowledge about an industry in a short period of time. For example, he was recently approached by a local pharmaceutical company aiming at national expansion. He knew nothing about the industry but made sure that before he met with its directors, he had learned everything he needed to speak about it intelligently. This ability to absorb knowledge quickly was strengthened through the MBA program at ASB. Termed “drinking from the firehose,” much of the curriculum comprises of intensified versions of courses where a lot of material is packed into a short timeframe. This is especially the case when visiting MIT professors teach at the Kuala Lumpur campus. When he’s not gathering intelligence on various industries, Raghav is meeting a wide variety of business owners across the region, often exploring multiple opportunities within a week. “It’s great, because everyone wants to sell to you,” he says. Recently, he has looked into acquiring a packaging company as well as a family business. He claims the process of determining what offers to take is one of the most exciting parts of the job. But he doesn’t spend all of his time in the office. Often, he travels on-site to recent acquisitions to monitor and manage the firm’s portfolio companies. The factory he just returned from is one such visit. There, the firm hired a new general manager, so Raghav plans to visit often to help ease his transition into the role. This sort of advisory work isn’t new, as he has gained experience through completing five Action Learning projects at ASB, often dealing with proposing change to large organizations. Notably, he completed his Summer Action Learning Project at OCBC Bank, giving him an insider’s look at the banking industry. Now, after working in finance full-time for several months, Raghav has come a long way from where he started. Tasks that used to take him three hours now take only one hour, but he laments that his bosses are still much more efficient as a result of their many years of experience. Dr. Gonsalvez is the CEO & Rector at MIT Global SCALE Network’s Malaysian Institute of Supply Chain Innovation. From 2010-2014, he was the Executive Director in charge of MIT’s Zaragoza Logistics Center (ZLC) in Zaragoza, Spain. For four years in a row from 2011 to 2014, ZLC has been ranked as the best Logistics education program in Spain. ZLC is also recognized as one of the leading research institutions in Logistics in Southern Europe. He is also Professor of Supply Chain Management at the MIT-Zaragoza International Logistics Program and a Research Associate at MIT. Dr Debabrata Ghosh is an Assistant Professor at MISI. He has over 7 years of professional and academic experience. Dr. Ghosh’s current research is based on modeling and analyzing sustainable supply chain initiatives of firms in emerging economies. Dr. Javad Feizabadi explores the supply chain and value chain design and capability- driven strategies in the current volatile business environment. His research examines dynamic capability development in value/supply chain and creating competitive advantage through value/supply chain design and management. In some of his recent research efforts, he looked into the impact of ASEAN Economic Community on value chain/supply chain design in automotive, electronics and steel industries. Dr. Phadnis examines the design and adaptation of business models from the supply chain perspective. His research falls in the area of strategic decision making and long-range planning, and contributes to the scholarly domains of managerial cognition, dynamic capabilities, scenario planning, and supply chain strategy. Dr. Albert Tan is currently the Director for Education in MISI and associate researcher at MIT CTL. Prior to that, he was an Associate Director managing the Master program in Supply Chain Management and Logistics Management. His research works have been published in international journals and is an editorial board member for various international journals. Rajeev’s professional roots are in industry. He has been Chief Learning Officer of both Coca-Cola and Morgan Stanley, and has formerly held senior positions at American Express and Goldman Sachs. At Goldman, Rajeev helped found Pine Street – the firm’s acclaimed leadership academy – and headed Pine Street for Europe and Asia. In his early career he was a banker and currency trader. Nabil N. El-Hage recently served as Professor of Management Practice at Harvard Business School, where he also held various other positions, including Senior Associate Dean for External Relations. At Harvard, he taught courses in corporate finance, private equity, and corporate governance, for eight years. Professor José F.P. dos (Joe) Santos started an academic career in engineering in the early seventies in his home town of Porto, but soon after moved into the managerial world. Twenty years later, Joe decided to retire from an intense and successful executive career after he held for ten years the position of MD of an Italian multinational group. Founder and Senior Advisor of Lean Enterprise Institute Inc.
James P. Womack is co-author of the best selling The Machine That Changed The World (with D. Jones and D. Roos), Free Press, 2007, which examined Toyota’s lean design system; and Lean Thinking (with D. Jones), Free Press 2003. His Lean Enterprise Institute now works with a wide range of other corporations seeking to implement these ideas around the world. Dr. Verdini received MIT’s first ever interdisciplinary and interdepartmental Ph.D. in Negotiation, Communication, Diplomacy, and Leadership. His work, which explores how to improve the practice of transboundary water, energy, and environmental negotiations, won Harvard Law School’s Award for the best research of the year in negotiation, competitive decision-making, mediation, and dispute resolution. Yen Teik Lee is an Assistant Professor of Finance at Asia School of Business. His areas of research are corporate finance, corporate innovation, and financial innovation. Before joining ASB, he was a Senior Lecturer at Curtin Singapore, an Assistant Professor of Finance at Shanghai University of Finance and Economics (SUFE), and a visiting scholar at both New York University Stern School of Business and Cambridge Judge Business School. He is the recipient of the Society of Financial Studies Finance Cavalcade Best Paper in Corporate Finance Award 2013 and SUFE Excellent Teachers Award 2015. His works have been featured on The Economist (blog), The Columbia Law School Blue Sky Blog, and BBC World Service and published in the Journal of Corporate Finance and Journal of Fixed Income. Yen Teik received his Ph.D. in Business (Finance) from Singapore Management University. His research focuses on supply chain strategy and value chain roadmapping, with a particular focus on fast-clockspeed manufacturing industries. Fine’s work has supported design and improvement of supply chain relationships for companies in electronics, automotive, aerospace, communications, and consumer products. His current research examines outsourcing dynamics, with a focus on dynamic models for assessing the leverage among the various components in complex industrial value chains and the principles for value chain design, based on strategic and logistical assessments. Sylvia Ng is an Assistant Professor of Marketing at the Asia School of Business. She is also an International Faculty Fellow and Research Affiliate at MIT Sloan. Dr. Ng’s research focuses on service marketing and customer experience management; including customer-firm interactions, customer engagement, value cocreation and resource integration processes. Her work has been published in the Journal of Service Research, a leading journal in the field of service marketing. Prior to her current role, she was an Assistant Vice President at OCBC Bank Singapore specialising in segment marketing. Arun Pereira is Professor of Practice at the Asia School of Business and an International Faculty Fellow at MIT-Sloan. Previously he was External Faculty at McKinsey & Co, as well as Clinical Faculty at the Indian School of Business (ISB), Hyderabad, India and Executive Director of ISB’s Centre for Teaching, Learning, and Case Development. He is also Emeritus Faculty, Saint Louis University, St. Louis, Missouri, USA. Further, he is AACSB’s Global Facilitator for Assurance of Learning since 2012, and is part of the faculty team of the International Teachers Programme, since 2015. Pablo Egaña del Sol is an Assistant Professor of Economics at the Asia School of Business and an International Faculty Fellow at MIT Sloan. Most recently, he has been studying the production function of socio-emotional, entrepreneurial, and creative skills in educational and labor markets. Dr. Flanders is an Assistant Professor of Economics at the Asia School of Business and an International Faculty Fellow at MIT. His research interests include applied microeconomic theory, industrial organization, and empirical microeconomics. His research focuses on matching theory–the study of how firms and workers, schools and students, and romantic partners, among others, match to one another. Prof. Melati Nungsari is an applied microeconomist specializing in industrial organization, market design, labor economics, and public economics. Her primary research involves two-sided matching platforms and how firms can use pricing to resolve externalities on the platform. She also studies issues related to the labor market integration of refugees in host countries such as Malaysia, discrimination in the labor market, and retirement markets. Prof. Melati also studies pedagogical innovations in economics and business education. She is originally from Penang, Malaysia. Prof. Renato Lima de Oliveira is an Assistant Professor of Management at the Asia School of Business (ASB). His main expertise lies in the political economy of development and state-business relations, particularly in the areas of industrial and innovation policies. Prof. Lima de Oliveira received his Ph.D. in Political Science from MIT. He holds a M.A. the University of Illinois at Urbana-Champaign (UIUC) and a B.A. from the Federal University of Pernambuco (UFPE, Brazil). He is also a research affiliate at the MIT Industrial Performance Center (IPC), a senior fellow at IDEAS-Malaysia and has consulted for international organizations. Ashley Chiampo is an executive coach with over 19 years of experience helping people and organizations attain maximum effectiveness. Her background includes working with CXOs and senior managers in small private companies, international development organizations, and multi-billion dollar publicly traded organizations. Ray Fung is a senior lecturer at the Asia School of Business. He earned his doctorate at the Harvard Business School under Professor Clayton Christensen and holds an MBA and MS in EECS through the LGO program at MIT. Prior to joining ASB, he worked in the Silicon Valley technology industry as well as in the oil/gas industry. Prof. Willem Smit is an Assistant Professor of Marketing at the Asia School of Business and an International Faculty Fellow at MIT Sloan. His main expertise lies in strategy making and managerial cognition, particularly in the areas of digital marketing, global branding and new venture marketing. Prof. Smit earned his doctorate in Marketing from the Erasmus University in Rotterdam, the Netherlands. Prior to joining ASB, he was at IMD in Lausanne, SMU and NUS in Singapore, where he designed and delivered MBA and executive development programs for multinational companies in the telecom, pharmaceutical and consumer-packaged goods industries. Rajesh is a product designer, and entrepreneur with more than 25 years’ experience in the design of more than a hundred products and multiple startups in Boston area. His research is in catalyzing innovators and entrepreneurs in communities from the ground up and to build local entrepreneurship ecosystems. He has conducted workshops on Making, Innovation and Entrepreneurship in different countries for students and professionals. He is a practitioner of Design Thinking process. He founded three product manufacturing companies in the US and a nonprofit organization that promotes innovators & entrepreneurs among Indian youth. Abigail Tay is a Professor of Economics at Asia School of Business, and an International Faculty Fellow at MIT. She is an applied microeconomist, with research interests in industrial organization and health economics. Prof. Tay received her BA (with 1st Class Honours) from University of Cambridge and her PhD in Economics from Stanford University. Prior to moving to Kuala Lumpur, she was Assistant Professor in the Department of Economics, at Columbia University and a Visiting Fellow in the Department of Economics at Yale University. Global entrepreneurial academic with a track record of program, school, and intellectual leadership for multiple degree program business units and an internationally sought speaker and lecturer the United States, Asia, and Europe. Core leader in the successful launch of the all-new Asia School of Business, in particular, the development of MIT Sloan devised action learning programs. Castilla studies how social networks influence organizational and employment processes and outcomes over time. He tackles this question by examining different empirical settings with longitudinal datasets, both at the individual and organizational levels. His focus is on the hiring, retention, and job mobility of employees within and across organizations and locations, as well as on the impact of teamwork and social relations on performance. His research and teaching interests include organizational theory and behavior, economic sociology, and human resources management. In 2012, he won acclaim for a popular book showing professionals how to get more done at work, entitled Extreme Productivity: Boost Your Results, Reduce Your Hours. In 2004, Bob became the executive chairman of MFS Investment Management, which now manages over $400 billion for mutual funds and pension plans. Between 2004 and 2010, MFS’s assets under management doubled. Stern explores how innovation and entrepreneurship differ from more traditional economic activities, and the consequences of these differences for strategy and policy. His research in the economics of innovation and entrepreneurship focuses on entrepreneurial strategy, innovation-driven entrepreneurial ecosystems, and innovation policy and management. Recent studies include the impact of clusters on entrepreneurship, the role of institutions in shaping the accumulation of scientific and technical knowledge, and the drivers and consequences of entrepreneurial strategy. Core has broad research interests in executive compensation and executive stock and option incentives, corporate governance, nonprofit governance, and disclosure and the cost of capital. His research has been published in the Accounting Review, the Journal of Accounting & Economics, the Journal of Accounting Research, the Journal of Finance, and the Journal of Financial Economics. His main research interests are in convex optimization, computational complexity and related computational science, convex geometry, large-scale nonlinear optimization, and related mathematical systems. His more recent work is in first-order methods and their connections to statistical and machine learning. He has served as coeditor of the journal Mathematical Programming and associate editor of several optimization and operations research journals. He is the former CoDirector of MIT Operations Research Center, the MIT Program in Computation for Design and Optimization, and the former Chair of the INFORMS Optimization Section. He also served a term as Deputy Dean of the Sloan School at MIT (2008-11). His research interests include applied probability and stochastic processes with application to queuing theory, theory of random combinatorial structures and algorithms, scheduling, and various business processes, including call centers, manufacturing, and communications networks. Ambra Mazzelli is an Assistant Professor at Asia School of Business and an International Faculty Fellow at MIT Sloan School of Management. She received her PhD from Lancaster University Management School. Her research examines the dynamics of organizational responses to unmet goals and their implications for organizational change and focuses primarily on family firms. Kevin Crow is Assistant Professor of International Law and Ethics at the Asia School of Business and International Faculty Fellow at the MIT Sloan School of Management. His research focuses on corporate subjectivity to international law, how understandings of economic and institutional morality affect international adjudication, and the private sector’s role in authoring public international law. His current book project, International Corporate Personhood: New Trajectories in Law, is forthcoming from Routledge. Roberto is a Venezuelan economist whose areas of research are international economics, monetary economics, and development economics. Roberto focuses on the causes of balance-of-payments crises, financial crises, and the propagation of them across countries—the phenomenon that has been identified in the literature as contagion. Currently he studies properties of international pricing practices, trying to produce alternative measures of inflation. He is one of the two founding members of the Billion Prices Project, and a co-founder of PriceStats. Pindyck’s most recent research focuses on economic policies related to rare disasters, such as those that would severely affect the entire U.S. or world economies. Examples include possible but low-probability catastrophic outcomes from global warming or nuclear terrorism. At issue is how such low-probability but extreme outcomes should affect current policy, for example, in reducing greenhouse gas (GHG) emissions. He also has continued to work on irreversible investment decisions, the role of network effects in market structure, and the behavior of commodity prices. My general research interests lie at the intersection of several subfields of economics: technical change, labor, health, and organizational economics. Most of my work deals with the organization of the “ideas sector” of the economy, and the consequences of different institutional arrangements for innovation, and ultimately economic growth. Her research interests lie in how technology allows firms to use digital data to improve their operations and marketing, and in the challenges this poses for regulations designed to promote innovation. She has particular expertise in online advertising, digital health, social media, and electronic privacy. Generally, most of her research lies in the interface between marketing, economics, and law. He oversees MIT Sloan’s portfolio of degree programs, as well as the Offices of Admissions, Student Life, and Career Development. Jake is responsible for setting strategy for the undergraduate and all Master’s programs, including the new Master of Business Analytics program. He teaches Financial Accounting to Master of Finance and Executive Education students, as well as Israel Lab, the newest addition to MIT Sloan’s portfolio of Action Learning programs. Jake is a member of the Dean’s Leadership Council, and MIT’s Title IX officer for MIT Sloan. Fernandez currently serves as the co-director of the Economic Sociology PhD Program and served as the head of the Behavioral and Policy Sciences area from 2008-2010. His research focuses on the areas of organizations, social networks, and race and gender stratification. Fernandez has extensive experience doing field research in organizations, including an exhaustive five-year case study of a plant retooling and relocation. His current research focuses on the organizational processes surrounding the hiring of new talent using data collected in 14 organizations. He is the author of more than 50 articles and research papers published in top academic journals in his field. His research interests include equity valuation, asset pricing, option markets, security analysts, and limits to arbitrage with a focus on the forces and mechanisms that shape the information content of market prices. He holds an MA in economics from Cornell University and a PhD in business administration from Stanford University’s Graduate School of Business. Prior to completing his PhD, So worked as a research analyst at the Nasdaq Stock Market in the Economic Research department. Professor Schmalensee is the author or co-author of 11 books and more than 120 published articles, and he is co-editor of volumes 1 and 2 of the Handbook of Industrial Organization. His research has centered on industrial organization economics and its application to managerial and public policy issues, with particular emphasis on antitrust, regulatory, energy, and environmental policies. He has served as a consultant to the U.S. Federal Trade Commission, the U.S. Department of Justice, and numerous private corporations. His research specialty is applied mathematical modeling with a focus on problems of health and safety. Barnett’s early work on homicide was presented to President Gerald Ford at the White House, and his analysis of U.S. casualties in Vietnam was the subject of a column by William F. Buckley. Previously, he served as global head of equity research for Barclays Global Investors (BGI), responsible for research supporting BGI’s active equity strategies, from 2008-09. The actively managed equity portfolio had in excess of $100 billion in assets, and the research team was comprised of approximately 50 PhDs based in San Francisco, London, and Sydney.